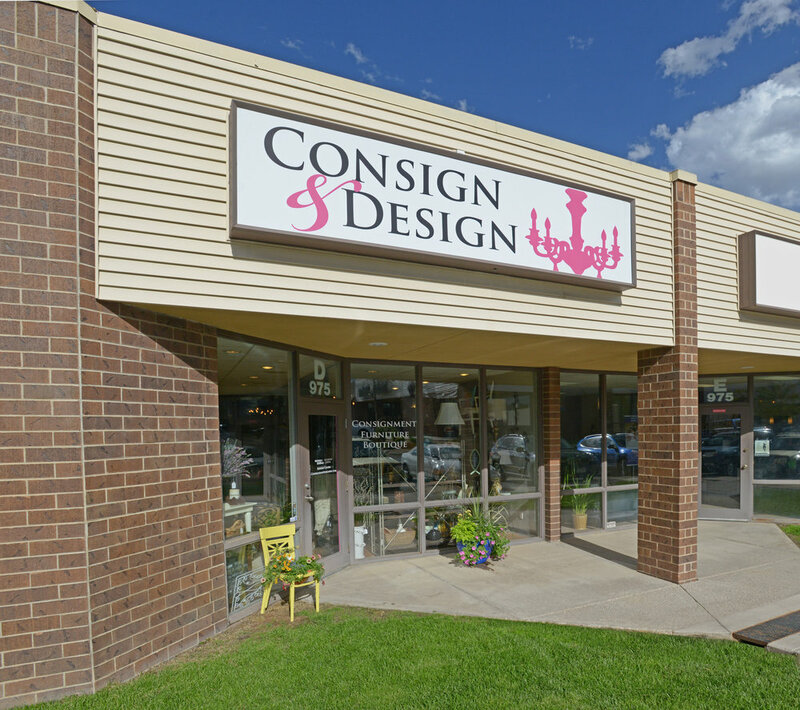 About Us — Consign and Design Inc.
Consign and Design is a Consignment Furniture Boutique in Colorado Springs on the northwest part of town. Store owner, Karin Doty Wyeno, expanded her home staging business to include the boutique. The store consigns new and gently used furniture, quality accessories, as well as the unique and whimsy! Karin and her staff also upcycle furniture, paint and reclaim items to save them from landfills. At the boutique it's not uncommon to see contemporary pieces paired with an antique or vice versa. They aren't afraid to mix it up and can offer you tips to accomplish a tasteful affordable look. Consign and Design sells original artwork, textiles, and custom jewelry from local artisans. Karin has owned and operated Pikes Peak Home Staging, LLC since 2007, she and her team have staged or consulted on over 400 homes in the Pikes Peak region. Their home staging experience inspired them to seek current and affordable design ideas that compliment the home owner or customer's personal taste. “Out with the old in with the new” is not their motto. They help customers find a fresh new look they can enjoy using their existing furnishings or by adding a few key pieces at great prices. Shoppers who visit Consign and Design discover its exciting, affordable options in furniture and accessories and receive excellent customer service. At Consign and Design you will be greeted by a skilled and helpful staff. They represent 5 languages, specialize in interior design, have home staging and remix experience along with design knowledge from abroad. Karin is thankful for the invaluable contributions that her employees bring to C&D. The staff is proudly comprised of five team members all with diverse knowledge and interior design skill. The first are two retired military who have been with Karin from the very beginning. Christina has lived in Germany and the Philippines, traveling extensively throughout Europe and Asia and speaks German and French. April has travelled and lived abroad in Panama and South Korea and speaks fluent Spanish! Two other staff members include Elaine who has experience decorating parade homes and Susan who grew up in Taiwan and speaks fluent Mandarin! The final member of the C&D team is Jeffery, who has a degree in Industrial Design with an emphasis on Interiors and Furniture, brings a more modern style to the table. This team brings together a wide range of knowledge from all over the world, blending cultural awareness, eclectic home design and expertise about furniture. Stop in and introduce yourself, it's obvious to customers we love what we do!